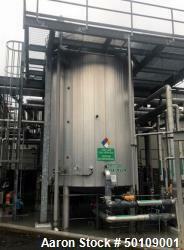 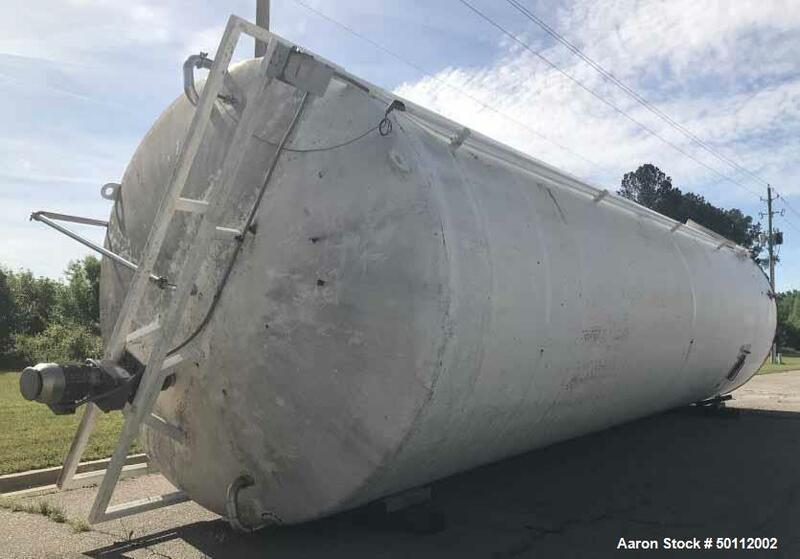 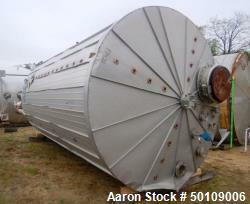 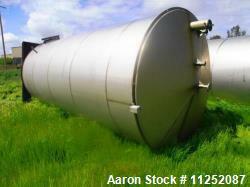 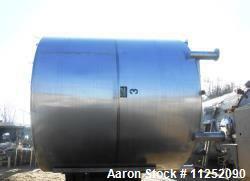 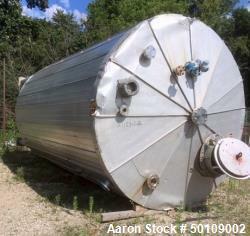 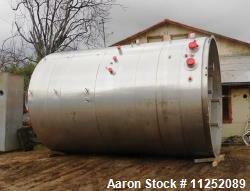 Used- Feldmeier Tank, 27,000 Gallon, 316L Stainless Steel, Vertical. 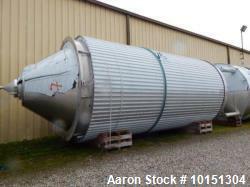 Approximate 136" diameter x 420" straight side, dished top and bottom. 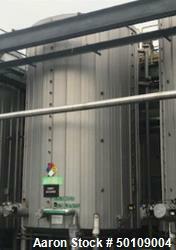 Painted carbon steel sheathing with insulation. 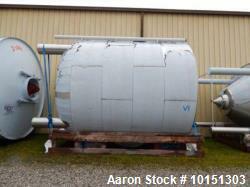 Carbon steel agitator bridge with an off center top entering agitator with a 3” diameter bottom supported shaft with (3) 48” diameter pitched downward 4 blade turbines, (1) 48” diameter pitched upward turbine, driven by a 7.5hp, 3/60/230/460 volt gear motor. 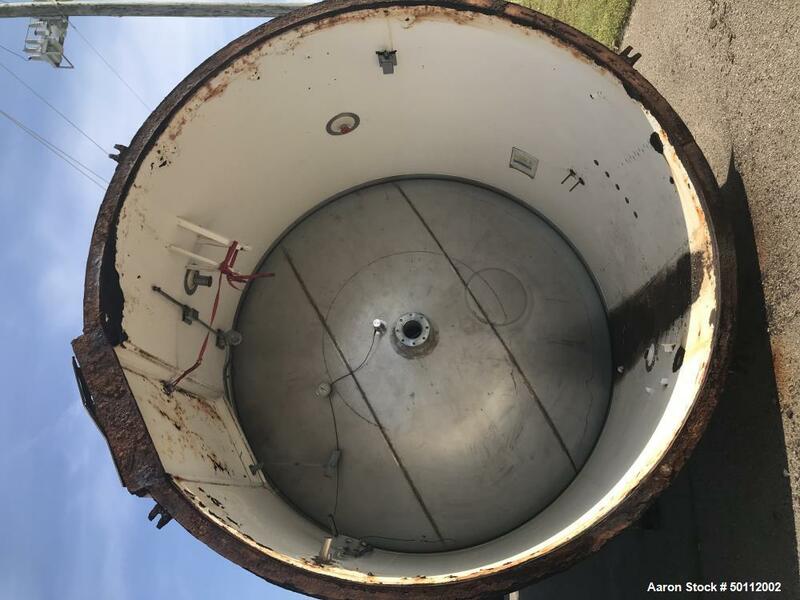 Openings top 2”, (3) 3”, Side bottom 16” x 20” oval manway, approximate 6" center bottom outlet. 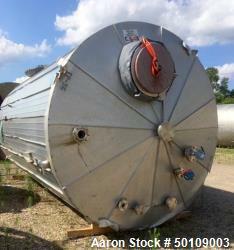 Mounted on a 93” tall carbon steel bottom skirt with access door. 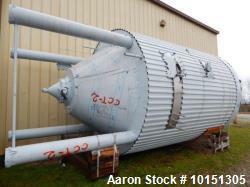 Serial# 5391-B1. 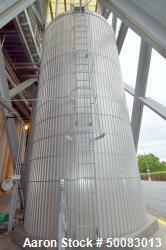 Built 1998.